Public Works services the community better than any other company's would. We go above and beyond! Please keep our Sanitation Department it is financially supportive needed income for the City of Harrisburg. I don't think an outside company could give our community the job performance that our employees of the Sanitation department already do! I support bill 2257. I'm a resident here in the City and I also work for the City of Harrisburg. If someone else were to take over the Sanitation Department it would not be good for the City. I support the Mayor in bill 2257. Employees have a great relationship with the community our commitment to them is above and beyond any Commercial outfit that could care less if they can't go down an alley where a senior citizen is disabled and is not capable of setting the cans out. We care! Our City residence just cant afford this! As a gentleman that came from Private Haulers of 25 years! We converted all of the City"s Commercial trash to the City! This created revenue and in 3 years we have had over 450 Commercial customers and cardboard revenue that the City never had before. We do this with (2) trucks instead of (6) trucks! Why would we even consider turning it back over to Private Haulers. We should not privatize Sanitation because the team that is in this department today have a passion for the City for it's Residence and the communities them selves. We exceed the normal expectations of what any privatized Company claims they would do. Overall you will set this City back 20 years or more if you privatize. As a local resident in the City of Harrisburg I would like to say the Public Works Department provides excellent service all year long! As an employee during the winter season we are on call 24/7 for snow removal. I'm 30 years old and a proud graduate of John Harris Campus. I am active in my community coaching youth baseball i'm proud to be a citizen of Harrisburg the Capital of Pennsylvania. Having said this I support Bill 2257. I am a resident of the City of Harrisburg and have been my entire life! I also am employed by the City of Harrisburg. I take great pride in the contribution that I personally give, keeping my community clean and safe. A privatized company could care less about our City. 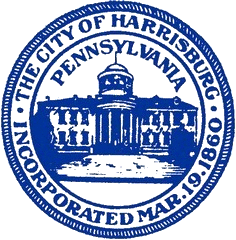 I would like to state I have worked for the City of Harrisburg for about 12 years. I would not like to see the Sanitation Department Privatized! We value our Jobs and most importantly we care about our City. I support the Mayor on bill 2257. City Sanitation Dept brings in alot of revenue for the City. What happens when we no longer have that revenue. I am a City resident for over 20 years and a City employee. We need to support from the community and the legislature to pass the House Bill 2257. The Commonwealth has assisted Scranton, PA with a similiar debt situation as the City of Harrisburg and it is my opinion that if the City of Harrisburg is not treated the same it is a form of discrimination. Our Sanitation Dept is needed to serve the citizens and it is the only source of income for the City. To privatize Sanitation would be like selling your soul to the devil. No way people from out of town will care or communicate with the passion that the Sanitation people do with the residents of Harrisburg on a daily basis. I enjoy my job and being able to do a small part in keeping the City clean. I do not believe that another company could provide the services that the City of Harrisburg, Dept of Sanitation provides. I do not believe any private company coming into the City would care about our City the way the Sanitation employees do. The majority of the Sanitation workers live in the City and because of that we have a relationship with many of the residents of our City. I am a City resident and work for the Dept of Public Works. I need to keep my job to be able to support my family. Privatization of Public Works would be devastating for our families. We take pride in our jobs and want to continue with our work. I work in Parks & Rec for the City of Harrisburg. Family is very important to me. When I started to work for the City of Harrisburg I finally found a family environment. For this to be taken away from us is like having family taken away from us. I have worked with the guys in Sanitation and it was evident that they care about the residents and the quality of work they do. I do not think another Company would have the dedication to the residents that Sanitation employees do. Outsourcing the Sanitation Dept will not work. An outside company will not do what City Sanitation does. The Sanitation employees go above and beyond. The majority of the Sanitation employees live in the City and have a good rapport with the residents. With private haulers if you a past due trash bill, your trash will not be picked up. Sanitation is good for bringing neighboring communities together to help keep the environment eco-friendly. It is also an opportunity for the community members, of all ages, to see people within their community working and taking pride in keeping the City clean. Bringing in an outside source might take on the responsibility as a job opposed to Sanitation employees who will take it on as a commitment which could result in fewer people taking of and working as a full-fledged team effort. I was very involved during the initial Act 47 Plan, I attended more City Council meetings than some people who were on City Council at that time. I have worked for and been involved with many departments of the City of Harrisburg. I have a long family history, dating back to the 1900's of the City of Harrisburg. I am a graduate of Harrisburg School system. I also am planning to retire from the City within this year. There is no doubt in my mind that the services to the City would be severely compromised if we did not provide all of our services in house. It may look wonderful in terms of numbers to have outside entities provide the service that we provide. But, without a doubt unquestionably our services would be severely compromised and we would enter into a downward spiral. We would lose our total involvement in the City, home-ownership, businesses, traffic of people, etc. Our population today is less than it was 40 years ago. Let someone take over our services and the consequences could possibly be terminal for the City. We would be entering into the Twilight Zone. Please do not just look at the numbers but look at what truly is in the best interest of the City of Harrisburg and its people.